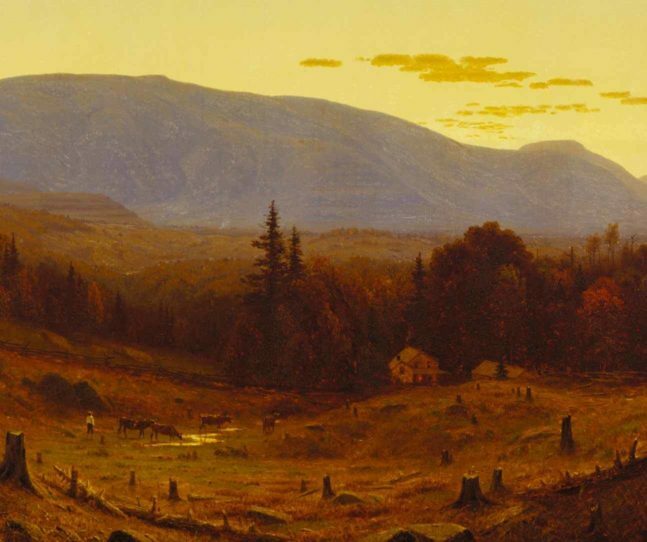 PEM’s current exhibition, Nature’s Nation: American Art and Environment, invites us to consider our relationship to the environment at a critical moment. 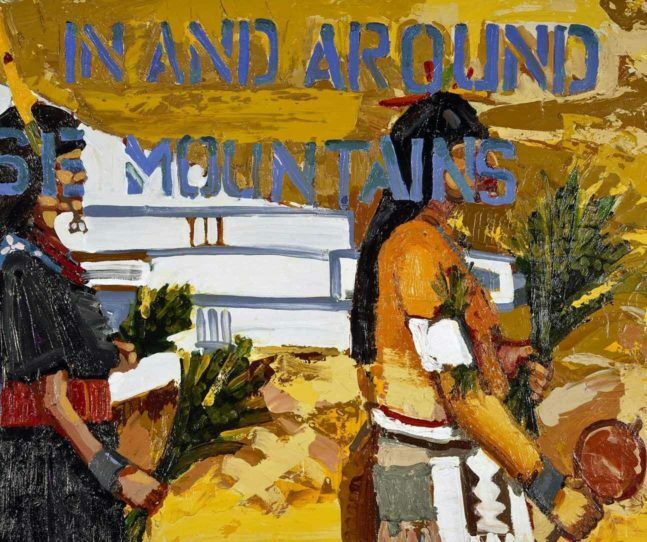 In my role as Interpretation Planner on this exhibition, I worked with our project team to develop strategies that help our visitors look at art from an environmental perspective, as well as to understand the environmental impact of art itself. As we explored how people and land are affected by artists’ materials, I was motivated to examine the effects of products I use in my own daily life. Clothing hits especially close to home because in my spare time I co-own Mayflower Vintage, a pop-up and online vintage clothing business. Liz wearing vintage at her home in Salem. 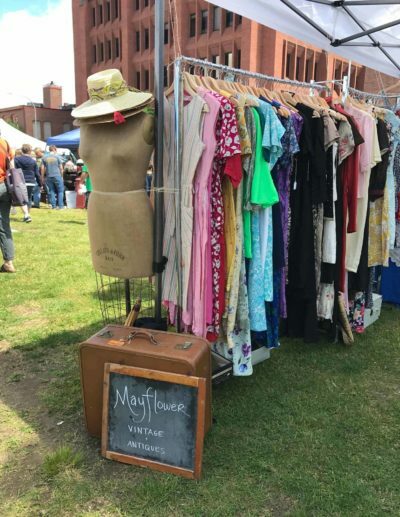 Mayflower Vintage popping up at the Providence Flea, 2018. I have shopped at consignment and thrift stores for as long as I can remember, more out of financial awareness than out of concern for the environment. I love that vintage garments (typically defined as items 20 to 100 years old) allow me to be more creative with my style while staying on a budget. As I began to understand the harmful effects of the fast fashion industry, however, I realized that wearing vintage is so much more than expressing a unique style...it’s also one of the best ways that you can make your closet more eco-friendly and sustainable. Mayflower Vintage at the Urban Vintage Bazaar in Providence, Rhode Island. 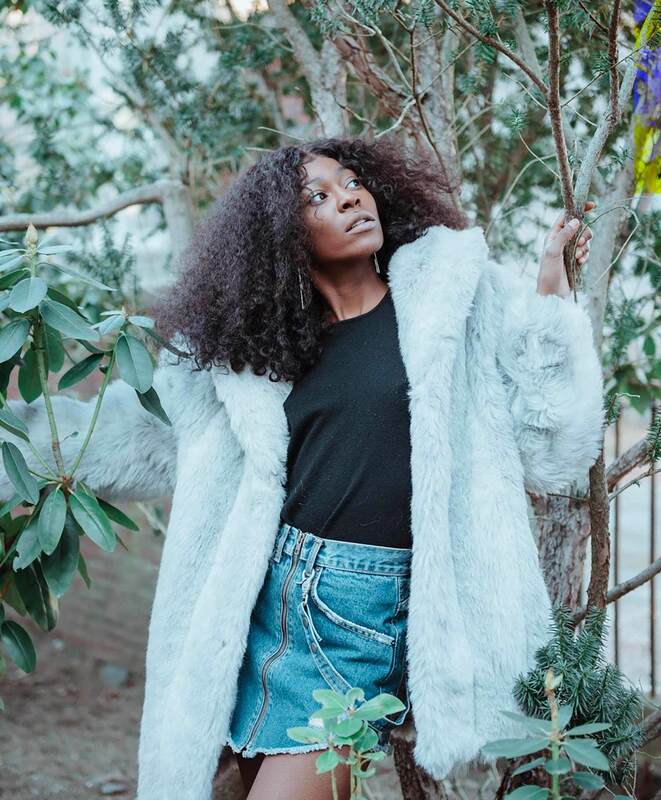 Liz styled a Mayflower Vintage photo shoot in Salem, January 2019. Photo by Emily Gardner. 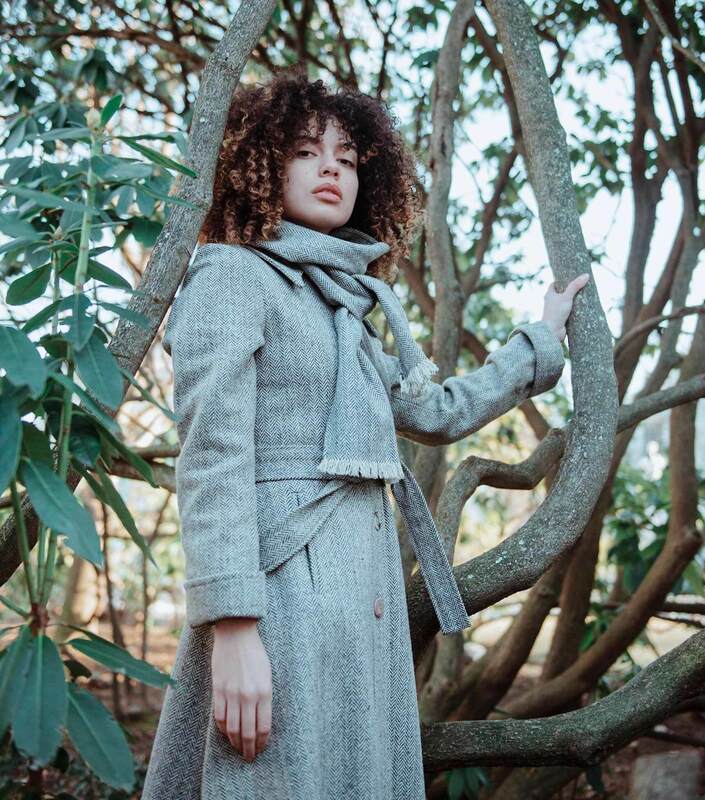 In this way, vintage clothing is incredibly sustainable. We all know the familiar refrain, “reduce, reuse, recycle”, but we often forget that the “reduce” and “reuse” parts are more impactful than recycling. Reusing clothing reduces waste. The current clothing and textile industry is a major global polluter and waste from producing new items is one of the most significant pollutants. Reusing and upcycling garments also keeps clothing out of landfills. In the USA alone, 10.5 million tons of clothing are sent to the landfill each year. (source: The Sustainable Fashion Forum). Models wore outfits from the Mayflower Vintage collection and posed in the Ropes Garden. Photo by Emily Gardner. 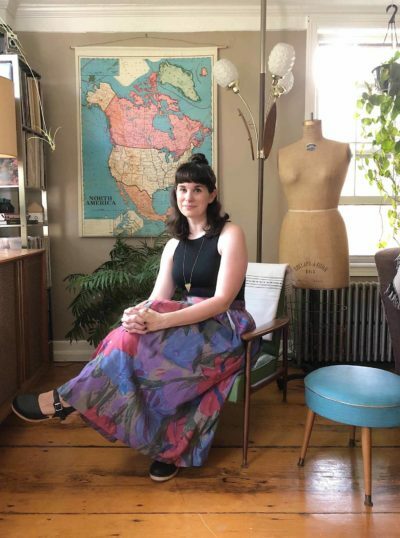 When I learned that PEM would offer a Sustainable Fashion program in conjunction with Nature’s Nation, I was thrilled and offered to help curate a vintage market for the event. It’s a wonderful opportunity to merge both of my passions, but more importantly, to share the many facets of sustainable fashion with our PEM family. 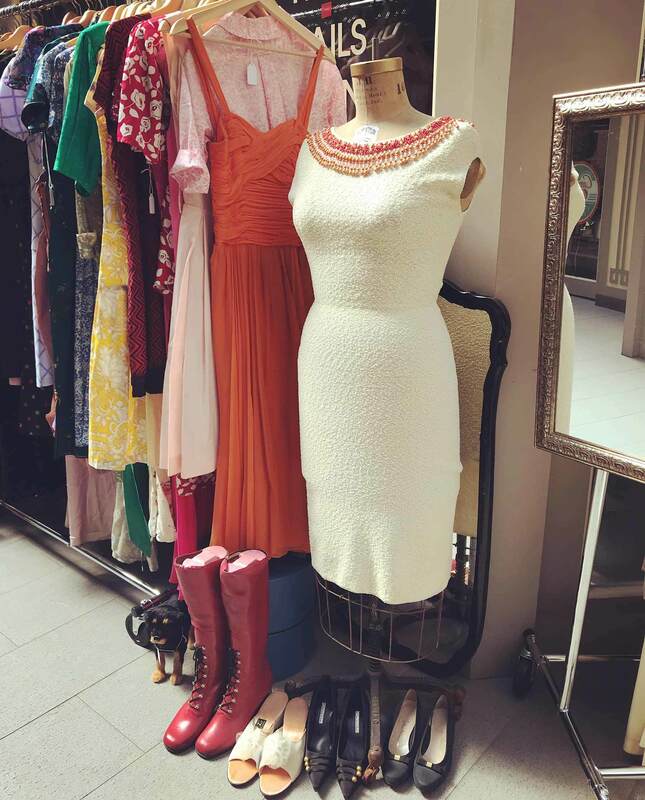 At the vintage market, you’ll have the opportunity to shop some incredible vintage clothing collections and meet local business owners who are enthusiastic about using vintage to “go green.” In addition to shopping the market, you can also learn how to mend and upcycle the clothes and jewelry you already own. Have you recently “Marie Kondo-ed” and need to get rid of some clothes? Bring them with you for our textile recycling drive with Salem Recycles and receive a free pass to see Nature’s Nation. 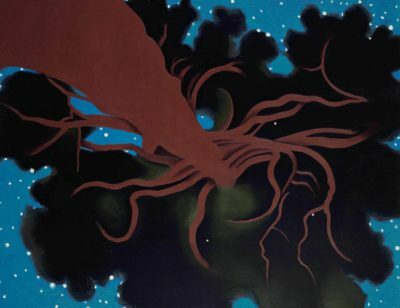 Georgia O’Keeffe, American, 1887–1986, The Lawrence Tree, 1929. Oil on canvas. Wadsworth Atheneum Museum of Art, Hartford, CT. 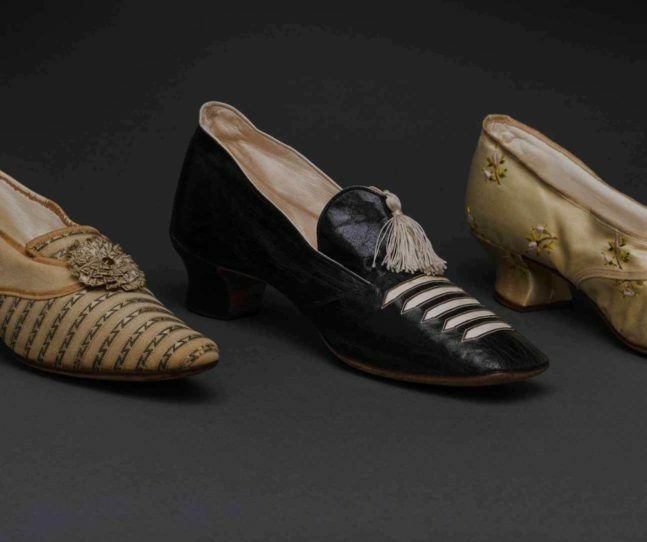 The Ella Gallup Sumner and Mary Catlin Sumner Collection Fund. © Georgia O’Keeffe Museum / Artists Rights Society (ARS), New York. Allen Phillips/Wadsworth Atheneum. One of our team’s goals for Nature’s Nation was for our audiences to feel inspired to enact environmental change. My own work on this exhibition motivated me to take a serious look at my consumer habits and to be more mindful of what I buy, who I buy it from and how I use it. I hope that our visitors will feel similarly empowered to take simple steps to reduce their environmental impact. I invite you to join me and my fellow vintage vendors on April 13 to discover the many ways you can be a conscious consumer of fashion while still being stylish, and to celebrate how art can inspire us to be more responsible global citizens. 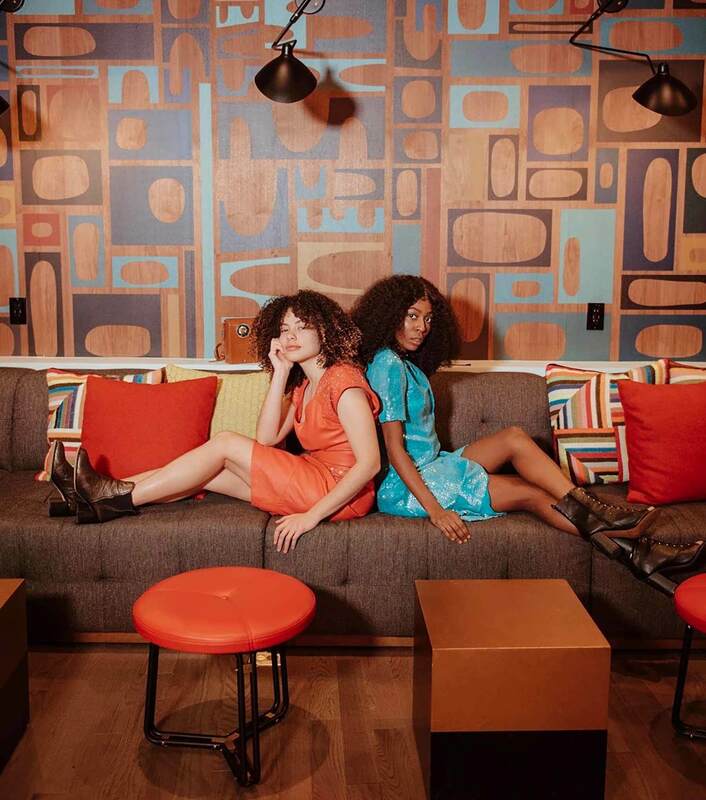 Models wearing vintage dresses pose in the lounge at Hotel Salem. Photo by Emily Gardner.